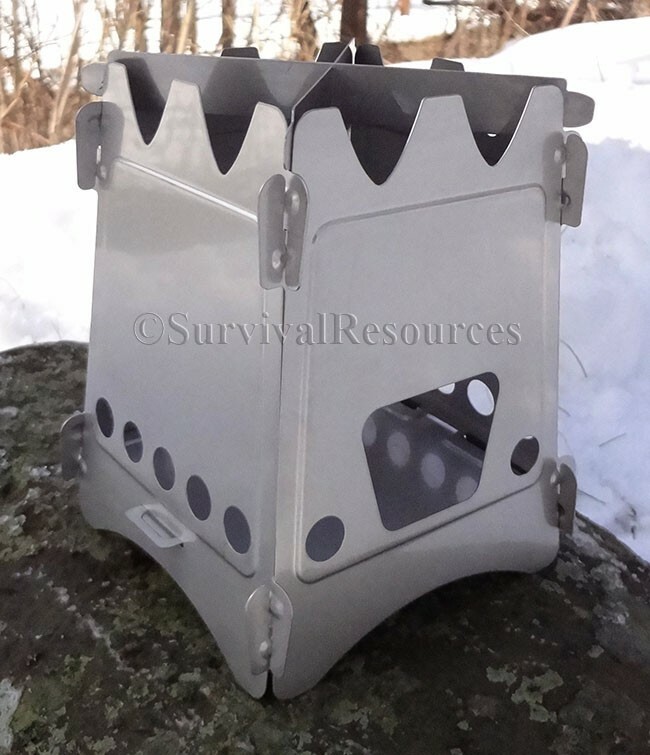 The Emberlit Stove weighs less than 11.3 oz and is constructed of rugged stainless steel (The Titanium weighs only 4.6 oz.). When you compare that to a full canister of fuel and burner, the difference in weight is astounding! The stainless steel EmberLit is impervious to corrosion and remarkably strong. 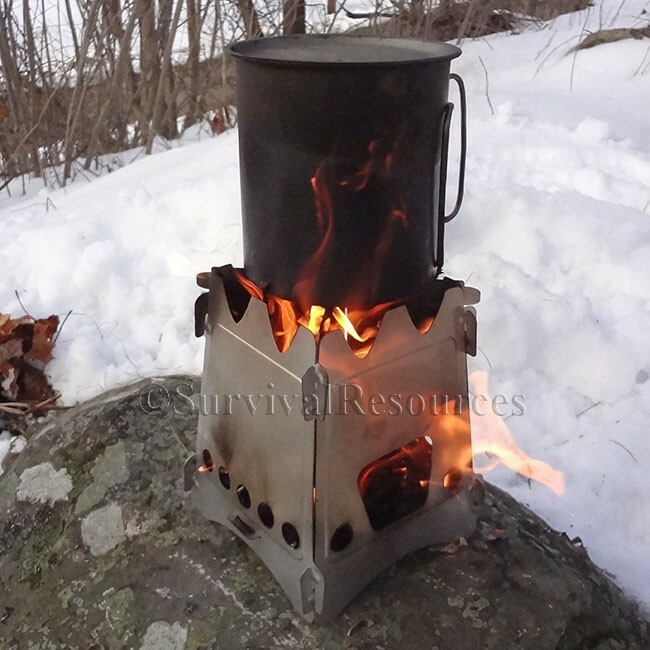 This camping or backpacking stove will hold the weight of any pot or pan that will sit securely without wobble. These EmberL wood burning stove comes with a lifetime guarantee because you are never going to wear it out. With use, the individual panels that make up the EmberLit may take on a slight warp. This is normal and doesn’t affect the assembly or durability of the stove. 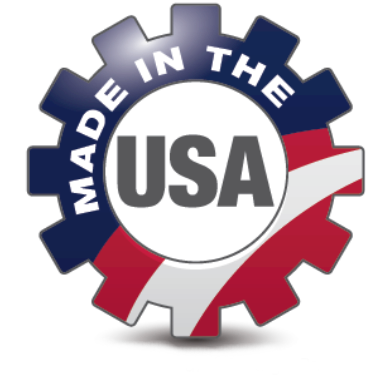 Great for camping, backpacking, bushcraft, wilderness survival, and disaster preparation. Packs flat. Assembles in seconds. Lifetime guarantee. Stainless Crossbar Adapters included. Available in Stainless Steel & Titanium.